Mibeau Interiors seamlessly blend natural balance and timeless style to your brief. We believe the home is an extension of yourself. It should be as multi-faceted and interesting as the people who occupy it! We pride ourselves in designing elegant, comfortable yet timeless interiors. We manage the entire process from procurement through to installation. To create a space with real character that reflects the client's taste and dècor style, our team looks at the big picture and the finer details. We source interiors from all over the world and work tirelessly to ensure the finished look is a space where you will love to spend your time. We have a wealth of experience and provide a wide range of services required for turnkey interior fit-out/refurbishments in the commercial and retail sectors. We utilise our knowledge to deliver an uncompromising product to you. We take you from the initial concept through to completion, working with appointed architects or designers along the way. Once the design has been approved, construction work can commence in your new office or retail space. We organise weekly site meetings throughout the fit-out process to keep you up-to-date with progress and receive feedback on completed stages. Before handover, we have a rigorous checking process to make sure we deliver a snag-free project. We have a reputation for quality. Commercial and office fit-outs are customised to suit the client's needs, with an emphasis on creating a flexible and usable working environment. Refurbishing your offices can be more cost-effective and less disruptive than relocating. If properly designed, you can optimise space and increase team interaction and productivity. Award-winning Interior Designer Michelle she has been project-managing interior design projects for over 20 years. Michelle's projects have ranged from small room renovations to private homes in the heart of London, multi-million-euro hotels in Ireland, to holiday homes in Portugal. Effective project management means clients can get on with their day-to-day lives with the peace of mind that mibeau is driving progress. Each project is undertaken with clear goals, deadlines and the same meticulous attention to detail is paid to managing budgets as creating striking results. The project management service from mibeau Interiors is priced based on individual project requirements. Please contact the studio for further details. 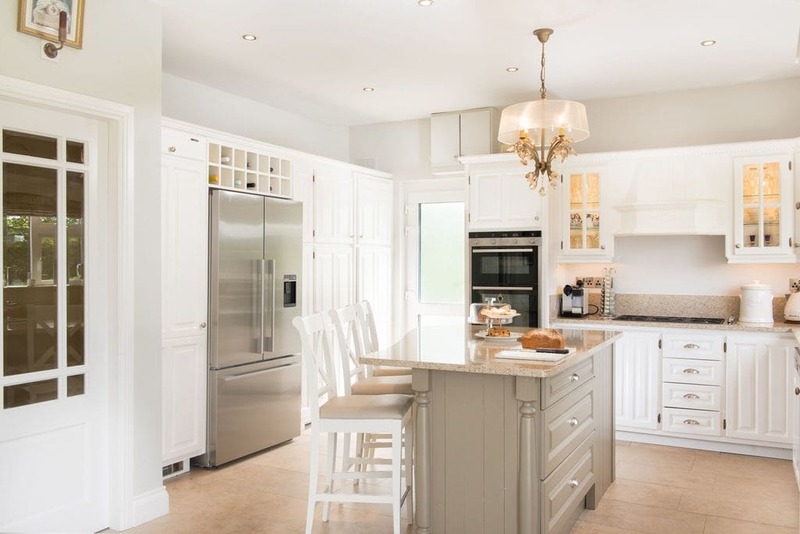 During a half-day consultation at your home or commercial property, the client briefs Michelle on design ideas and she will guide and advise on moving forward. At this stage, a full brief will be taken and a fixed fee allocated for the client's approval. A visual design scheme will be prepared and presented for comment and discussion. This will include concept boards, sketches, and images to illustrate individual design requirements. No work will be carried out or charged until the client is completely happy with the proposal. Following approval of the design scheme, a schedule of costs and specifications will be prepared to allow the client budget and prioritise expenditure. At this stage, the design scheme will be formally signed off as approved and the design implementation will begin. As project managers, we will liaise with existing consultants, supervise relevant traders and coordinate suppliers and sub-contractors on site. All interior specifications, fitting out and finishing will be implemented on the client's behalf. For the project to proceed successfully, we require the client to sign approval on all design work, specification drawings and schedules, programme estimates and quotations. All furniture fittings and equipment (FF&E) purchases will be ordered by the client or by mibeau Interiors. Specifications for all furnishings and soft furnishing will be signed off. mibeau Interiors supplies at an agreed trading sum offering discount on retail prices. As part of our project management package, we take care of the delivery and installation of the selected decoration, fittings, furnishings and equipment. Confirmation of costs are agreed prior to installation.